While most people can’t wait to welcome the end of winter, for millions of others spring’s warmth and rebirth brings debilitating allergies. The most common spring allergy is pollen—tiny grains released into the air by trees, grasses and weeds for the purpose of fertilizing other plants. In allergy sufferers, the immune system mistakes pollen for harmful foreign germs, and triggers hypersensitive reactions that may include red eyes, runny nose, itchiness, eczema, hives or an asthma attack. Fortunately, when potential hazards are recognized, allergies and asthma can often be prevented or their effects minimized. To reduce your exposure to pollen and other allergy triggers, check local weather reports to find out current pollen forecasts. If pollen counts are high, take allergy medication preemptively instead of waiting for symptoms to start. Stay indoors on dry, windy days. The best time to be outside is after a rainstorm, when the air is mostly pollen-free. Refrain from gardening or doing yard work. Change your clothes after being outside for a long period of time. 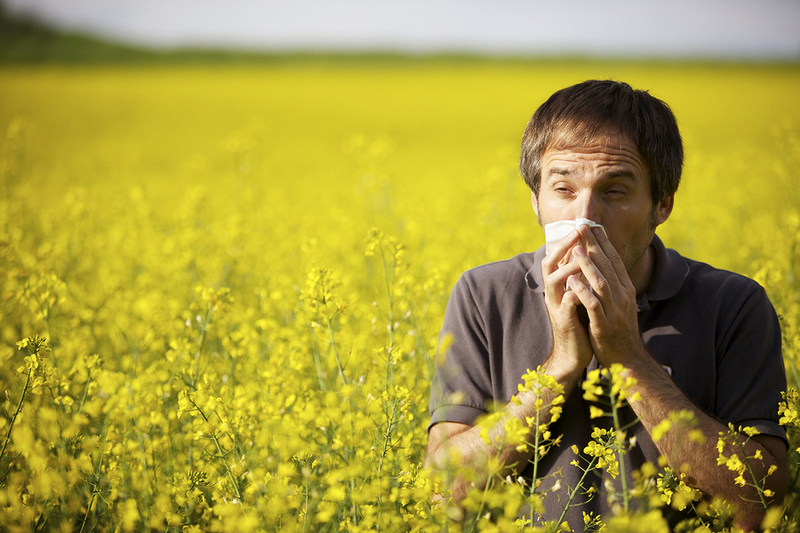 Consider taking a shower or rinsing your hair if your allergies are starting to act up. Be sure to use an air filter in your home as well. Don’t let the onset of spring cause you to suffer. if you be familiar with then you can write if not it is complicated to write.